Our Site is Growing... But We Need Your Input! Enjoy Playtime Felts Desert Animals Audio Story Script: Animal Habitats - Fun Felt Stories for Kids! Professionally recorded and correlates with: Desert Combo Pre-Cut Set, African Animals, Freshwater Marsh Animals, and Ocean Creatures. Desert Habitat Combo Pre-Cut Felt Set comes with 26 adorable felt pieces, plus a 24"x17" Scenic Sahara Desert Playmat. Image sizes range up to 7 inches, perfect fun for children ages 3 years and up. Preschoolers Love Listening to Stories. They love even more to retell what they know by sequencing their thoughts with pictures. We call this the fun felt, hands-on learning approach. Toddlers, preschoolers & kindergartners will always enjoy reaching for soft felt figures as long as there are felts to reach for. Fun felt stories on CD! Teaching toddlers through first grade is a true joy. Children are curious, fearless, and love every discovery. They grow in knowledge when they engage in play. Plus, teaching feels good when you know they learn! Are you shopping for a creative way to teach children so that they develop the skills they need to excel? We have a variety of felt sets that encourage learning, sensory play, and are just plain fun for children. Felt Board Story Combos are HERE! Children can enjoy their very own beach, anytime & year round! 16 Colorful Pieces & Scenic Playmat. Plus, a Story Script. Great for Pretend Play and Story Telling. Butterflies are Beautiful & Fun to Learn! The Butterfly Life Cycle is a must have for any growing felt board collection. There are many group time activities that go along with learning about caterpillars and beautiful butterflies. Join PTF Membership with Perks and get your set at a 15% discount... Plus, being a PTF member you gain access to over 1400 printables! Butterfly activities for preschool, pre-k, and kindergarten. A must-have addition to your caterpillar or butterfly unit. After using the Butterfly Life Cycle felt set, these prep-free printables will come in handy. 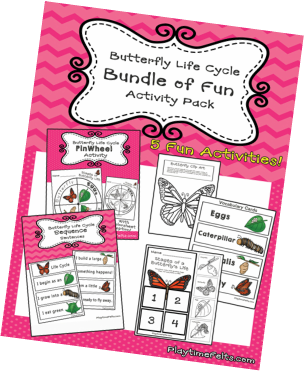 Bundle Includes: 4 Vocabulary Cards, Sequence Sentences, Butterfly Clip Art Activity, Stages of Butterfly Life - Paper Spinwheel, Cut & Paste Butterfly Stages Worksheet. Plus a bonus... Butterfly Snackmat, where you can finish up your unit and have a place to sequence edible butterfly snacks: Marshmallows for eggs, rainbow gummy worms for caterpillars, tootsie rolls for the chrysalis and fancy crackers for the butterfly. 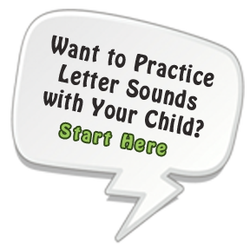 Are you a parent, teacher, or librarian looking for a creative way to teach your preschooler, class, or story group? Woo, hoo! You'll be excited to know we carry an unique selection of felt board stories around here ~ and now they're PRE-CUT! You're going to love the quality of our precut sets. They're NOT like other felt brands where you get a dull image on thin, flimsy felt. Playtime Felts are high-quality and we mean quality! With PRE-Cut Playtime Felts you'll get high-quality felts every time. Each set is vibrant in color... thick and durable... super affordable &... oh, so adorable! We have a growing product line of engaging felt board stories for the most popular preschool topics. Here is a quick list to get you shopping. These reproducible color sheets come in three activity styles. It's here! African Animals felt set now has a fun felt story script! Your kids will love this super cute learning aid. You'll find that this poem is an additional teaching tool to help your children associate animal qualities. For example, take our beloved Black Mamba. He is "long and scary," and he likes to "bite and hiss."